1. Most people find a job through one of their numerous weaker ties 대부분의 사람들은 그들의 느슨한 관계를 통해 일자리를 찾는다. 2. 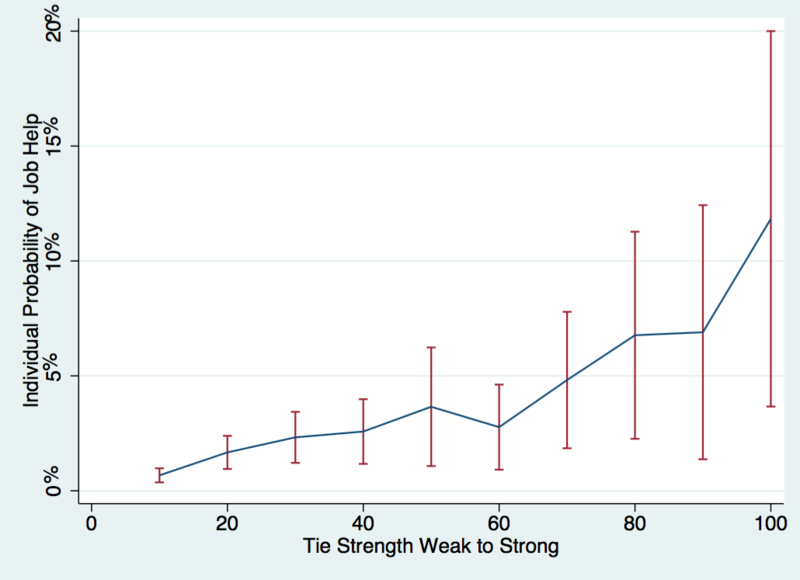 An individual stronger tie is more likely to help than a individual weaker tie 개인간의 강력한 관계는 느슨한 관계보다 (일자리를 구하는데) 도움을 주려고 더 노력한다. 이 글은 미분류 카테고리로 분류되었고 Jayhawk님에 의해 2016년 4월 2일 에 작성됐습니다.